I cannot STAND THIS!! This is just so exciting for me – forget about what it must feel like for Amy! My friend, Amy Lupold Bair, has a new book out that I just had to tell you about. ‘Raising Digital Families for Dummies‘ is a MUST READ for any parent overwhelmed by their children’s dependency on technology. Think about it. Our parents didn’t have to deal with cyber-bullying or monitoring our every move while doing homework in fear that we might stumble across an adult site. When I would research a homework assignment, there wasn’t a chance I would be exposed to something negative in my Encyclopedia!! My mother didn’t need to lean over my shoulder for a check-in! What would be the worse thing I could do? Sneak a peek at Pluto when I really was suppose to be researching penguins? It’s a different world. It’s a different time. And for those of you who want to get caught up but don’t know where to start – here’s a book that will give you a great foundation. I could go on and on… this book is jam PACKED with info that absolutely relates to every family we know. This IS the new world. Dive right in folks. 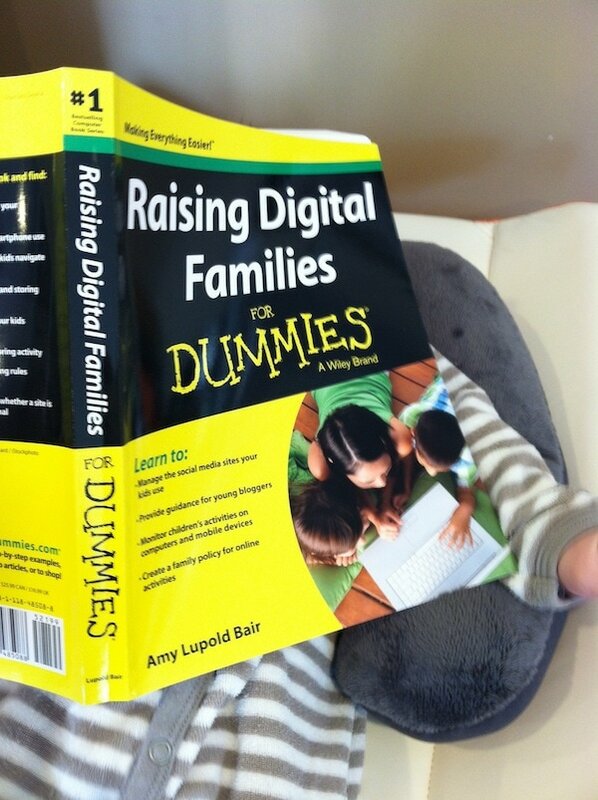 Raising Digital Families For Dummies (For Dummies) retails online for $13.40. And congrats again to Amy for this wonderful accomplishment! Previous Post: « Daily Diary: This New Yawker Should Do Voice Ovvvaaaahhh Work? What? !